Maradhi Manni: Janmaashtamiya Haardika Shubhaashayagalu! 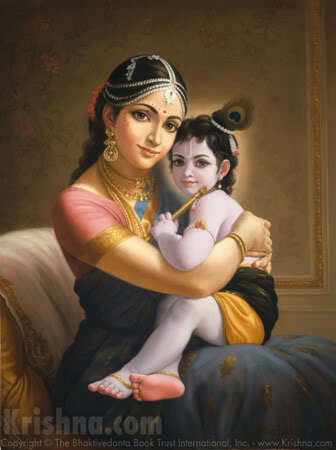 Happy Janmaashtami and Krishna Jayanthi to all of you, friends! Janmaashtamiya Haardika Shubhaashayagalu! Happy Janmaashtami and Krishna Jayanthi to all of you, friends! I was playing this song of Smt.M.S.Subbulakshmi today morning. She is so expressive and enjoys singing! I had been hearing her songs from my childhood. During Navrathri and December season, we used to attend all the concerts with all my cousins. They were free concerts mostly. They used to be held in huge playgrounds or open grounds. If the concert started at 6.30 pm, the whole ground used to be full by 6 pm! We used to go at 5 pm itself to reserve the front place...no chairs, just plain ground with sand! I still remember MS singing with the jasmine flower string on her hair...if we watched from far away, we could see the flower moving up and down, that is all! Vikku Vinayakram (Ghatam), was a young man and mostly accompanied her wherever she sang. Her daughter Radha Vishwanathan was a small girl in those days! I am talking about my school days (late '60s!). MS, MLV (Smt. ML Vasantha kumari) and Smt. DK Pattammal were the famous trio of those days! People didn't have anyother diversion like the present TV serials, so the carnatic music concerts were attended by all people. Hope you enjoyed the song! The song is nice no doubt, but I always had a feeling that her voice was a bit coarse... Even with Lata Mangeshkar, I have heard her later songs - In the late 90's and thought why this inappropriate voice for this song! But I was born late and I am used to the voice of singers in the contemporary movies of my time - Which were too fabulous and smooth. Even with Carnatic songs, notice how Charulatha Mani sings - That's something, isn't it? At least I have been able to listen to a few older melodies of Lata Mangeshkar (Can you do a post on this?). But I have never come across a younger voice of MS! Wonder what her voice was like when she was young? Destination Infinity: In a corner of my mind, I think I like MLV's voice better than MS's! Have you heard her songs? But MS is MS, always! Sometimes these songs are nostalgic for me...that might be the reason I like the voice of these singers! Remember I like Sheila ki Jawaani too! MS's voice yeppavume ghaneernu irundadu, chinna vayasilayum. Maybe we are used to it and so, like it. Whenever I hear Latha's song in Lagaan (O paalan haare)...I used to wonder why Rahmaan chose her for the song. Her voice is not good now. Her songs of the late 60's and 70' are very good. Comparatively, Asha's voice is better...we can see the age catching up with her also. Yes, Charulatha's voice is good and Priya sisters' too! Did you hear Lil Champs' Barnaali? You will like her voice. Post on Latha's songs? Will keep it in mind, D.I. Thank you! A Very Happy Janamashtami to you and your family Sandhya.Will come back later to hear the song .Preparing prasad for offering.tc. Happy Janmashtami to you too! I usually look forward to this festival because of the delicious snacks my mother prepares - cheedi (both uppu and vellam), appam, kuzakattai and vadai. This year, I have to be satisfied with bought items from Grand Sweets. Something is not right with Blogger. I am following you but your posts don't show up in my list...I will check. KAVITA: For us, Janmaashtami is important than Krishna Jayanthi. So, I was busy yesterday making vella cheedai (made out of Jaggery and rice flour), Uppu cheedai (salty rice flour), murukku (chakli), aval panchakajjaaya (poha with jaggery and coconut). Today we do just paayasam for naivedhya! Happy janmaashtami to you and your family, Kavita! DEEPA: I did everything at home! We never do these things on normal days. Grand sweets cheedai is good! A: Happy Janmaashtami to you too, Amrit, thank you! Please do a post with the pictures! That song never stales however many times you hear.In free kutcheris the musicians sing without restraint according to their manodharma and so they turn out to be delectable experience. Hope you had agreat Janmashtami!! Happy Janmashtami to you and your family, Sandhya! K.PARTHASARATHY: Those kutcheris used to be fun, Partha Sir! The artists and the audience enjoyed the atmosphere. The concert used to go on till 12, 1 AM etc. We,children, used to sit there until the concert ended! Our whole street used to attend them together! Thank you, we had a great Gokulashtami with a play for bonus! RENU: Thank you, wish you the same, Renu! MANJU: Thank you, Manju and our best wishes to you and your family too on the Janmaashtami day! HITCHWRITER: She acted in the movie Meera! She is a great singer! We grew up hearing her songs, Dhiren! Thank you for hearing! ROSHMI SINHA: Thank you and wish you the same, Roshmi!